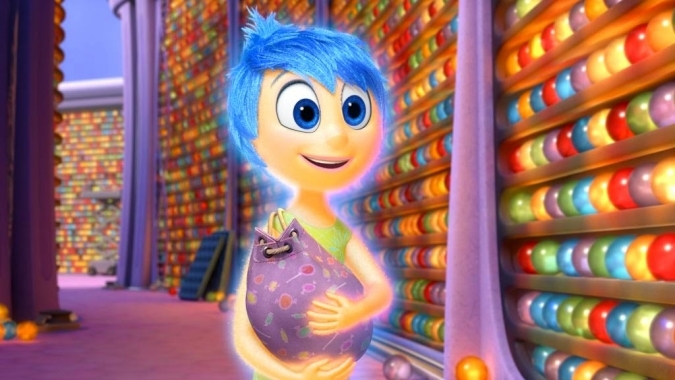 Pixar's INSIDE OUT is the type of rare animation that appeals to both adults and children. The last animation that blew me away in this manner was The Croods. 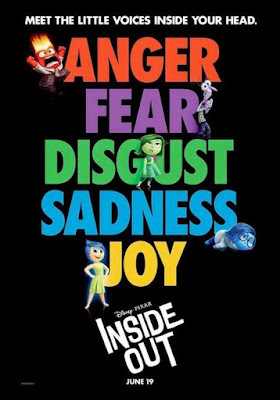 Pixar has a long history of being able to touch a variety of our emotions and this time around features them as the main stars. Exploring the emotions of Riley (Kaitlyn Dias) from birth to the young tender age of 11. We see Joy (Amy Poehler), Sadness (Phyllis Smith), Fear (Bill Hader), Anger (Lewis Black) and Disgust (Mindy Kaling) shape young Riley as her family suddenly transitions from Minneapolis to San Francisco. One of the things that you will love about the film is the unique characters and humor that each emotion brings. 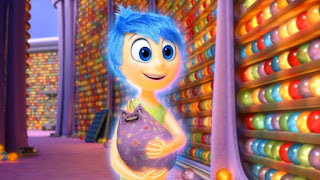 Who knew that Joy could be such a control freak? From subtle jokes that adults would appreciate like "deja vu" reference to why cats are always so paranoid to the Mr. Cloud being blown away as a site gag for kids, there really is something for everyone. The jokes are juggled well between being witty and simplistic bolstered by the talented voice cast. 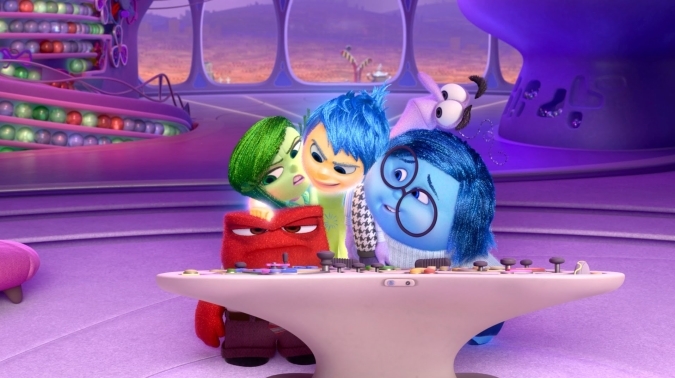 My favorite characters in the film include Sadness played by Phyllis Smith and Anger played by Lewis Black. There are few things to find fault with this film, and that is a testament to the quality of the film by the cast and the rest of the filmmakers of the movie. Some of the themes may be a bit touchy for younger kids as far as isolation at school, and running away from home. 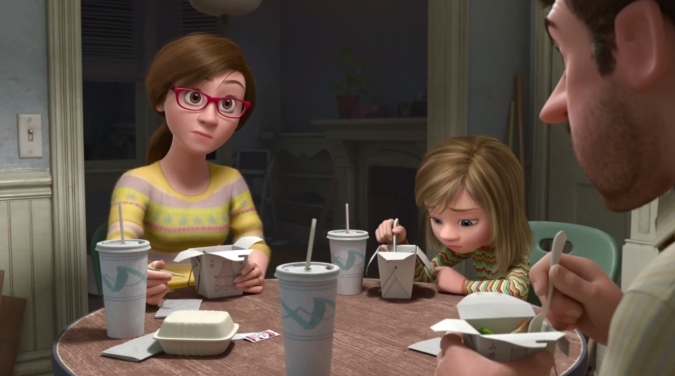 However, I thought they did as good as a job as they could in the direction they were trying to go with the movie allowing for conversation with kids by their parents on the various matters. In addition, I have my reservations about Reily's imaginary friend Bill Bong (Richard Kind), who stands out as a sore thumb like Jar Jar Binks in Star Wars. Thankfully, despite his unusual features in comparisons to the cute emotions, he doesn't have the annoying voice and is quite loveable in his own innocent way. Overall, I would highly recommend the film to everyone. The movie is appropriate for adults and even young children. There is a clown that might provide some fright, but overall, is quite appropriate for all ages. If you are watching the film in theaters, be sure to arrive early so you don't miss their short film "Lava" which is just as touching if not more cute than Inside Out. As well, be sure to watch the scenes during the credit run of various characters and their inner emotions. This has easily risen to be among the top films I have seen this year and the top animation I have seen this year.